^ Hornblower, Simon; Spawforth, Antony; Eidinow, Esther. The Oxford Companion to Classical Civilization. Oxford University Press. 2014: 562. ISBN 978-0-19-870677-9. ^ Smith, R. Scott. Ancient Rome: An Anthology of Sources. Hackett Publishing. 2014-03-15. ISBN 1624661165 （英语）. 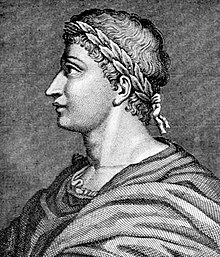 ^ Green, Steven J. Ovid, Fasti 1: A Commentary. BRILL. 2004-01-01: 22. ISBN 9004139850 （英语）. ^ 奥维德. 《爱的艺术》. 北京市: 新世界出版社. 2012-02-01. ISBN 9787510423819 （中文（简体）‎）. ^ 奥维德. 《爱经全书》. 北京市: 译林出版社. 2012-09-01. ISBN 9787544731492 （中文（简体）‎）. ^ 奥维德. 《罗马爱经》. 沈阳市: 辽宁教育出版社. 2011-12-26. ISBN 9787538293920 （中文（简体）‎）. ^ Herbert-Brown, G. "Fasti: the Poet, the Prince, and the Plebs" in Knox, P. (2009) pp.126ff.